We’ll be selling our produce outside of Labeebee’s Mid-East Cafe (2609 Cherokee Street) again tomorrow, Saturday September 24. See you there! 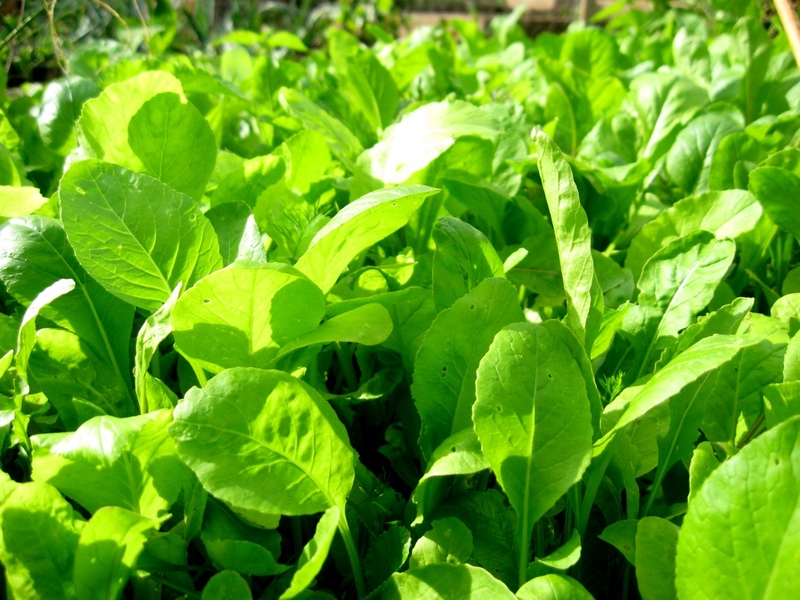 We've got lots and lots of salad greens, and we're planning to enclose this bed in a hoop house for the winter. 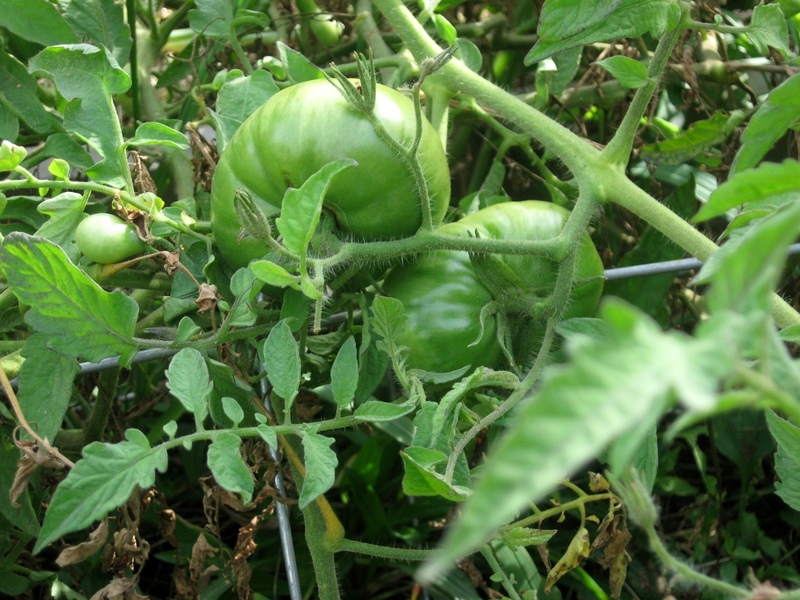 With any luck our second big crop of tomatoes will ripen before it gets too cold. 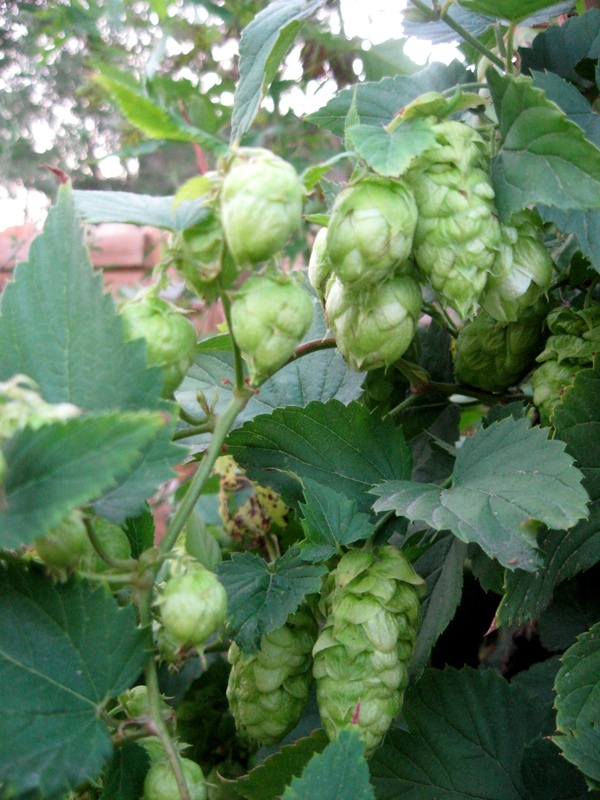 This is our first year growing hops-- so far, so good! 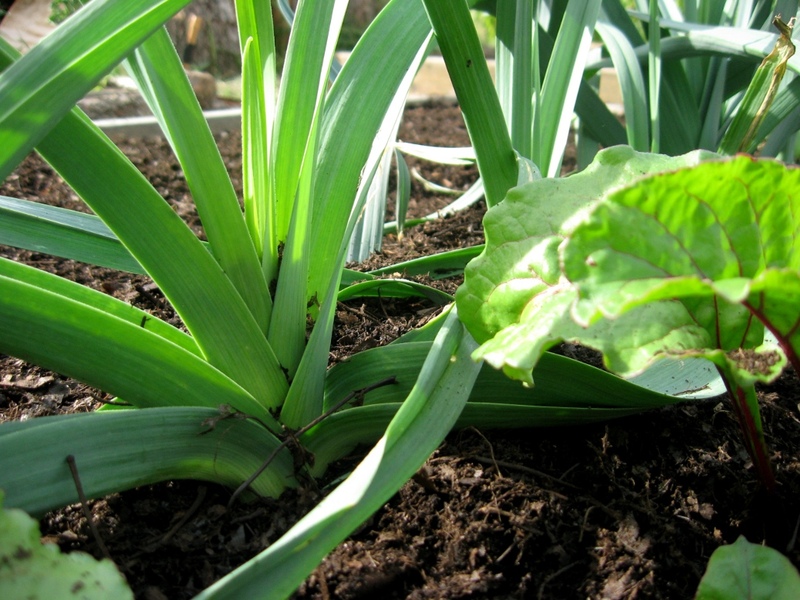 We'll be harvesting these leeks soon! We picked up this pile of compost for free earlier this week. St. Louis City collects and composts grass clippings, leaves, tree limbs, and other yard waste from the Forestry Division and city-wide yard waste dumpsters, ultimately providing compost and wood chips for free for all residents. There’s a list of pick-up sites here, Carondelet Park being the biggest. There are huge piles of leaf compost and wood chips at the east side of the park. Unfortunately we’ve found that the compost piles, like much of the city, are trashy. We prefer to pick up compost in St. Louis County at Shaw Park. Either way, though, you’ll likely have to pick out some trash by hand, but it’s not bad for free compost! Our produce stand outside Labeebee’s yesterday was a great success- a big thank you to all of our friends and family who stopped by! We enjoyed talking to people about our gardens and the chickens, and we actually sold a good amount. We’ll be back there next Saturday, too! Radishes, beets, eggs, alfalfa & mung bean sprouts, bell peppers, 3 types of kale, carrots, salad greens, basil, thyme, rosemary, and sage. 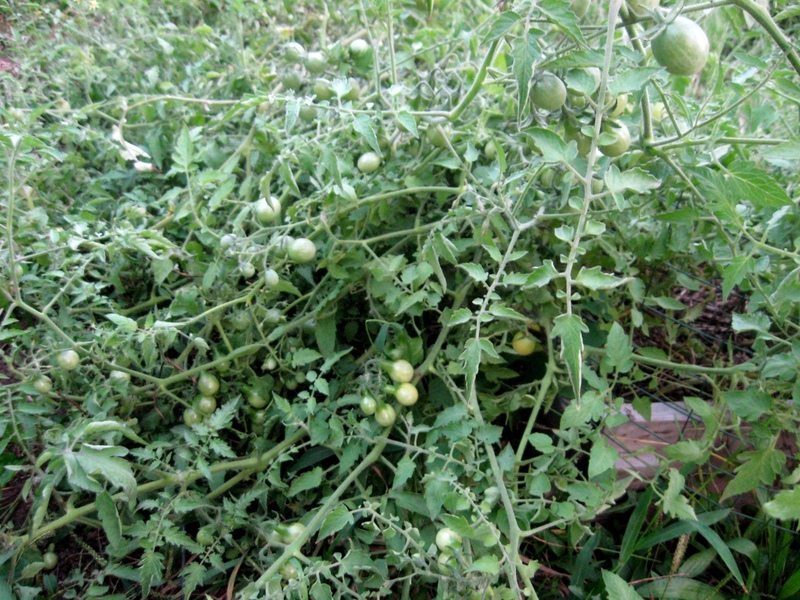 We also had yellow cherry tomatoes, banana and jalapeno peppers, and lemongrass, not in the picture. The best part of the experience yesterday is the confidence it’s given us in our chosen path. We’ve both dreamed of having a farm and leading a self-sufficient and sustainable lifestyle on our own little homestead, and yesterday we took a big step toward that goal. Good timing, as we’re both losing our jobs soon and were unsure whether we should find new employment or start pursuing our dreams. After yesterday’s success, we know that we should follow our hearts. We’re nothing but excited for the future! Tomorrow, Saturday September 10, 2011 outside Labeebees Mid-East Cafe at 2609 Cherokee Street, just west of Jefferson in St. Louis. We’ll be there at 11 AM, rain or shine! Exciting News! 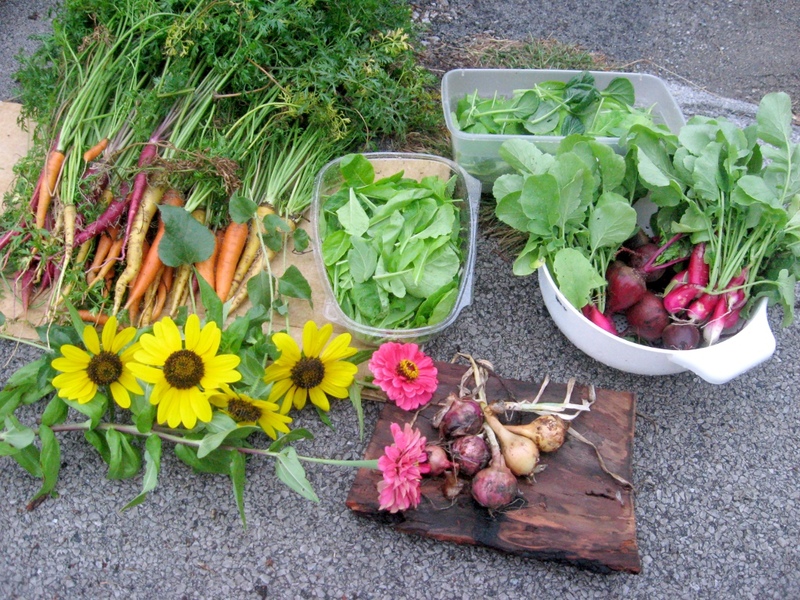 Farm Stand at Labeebee’s! 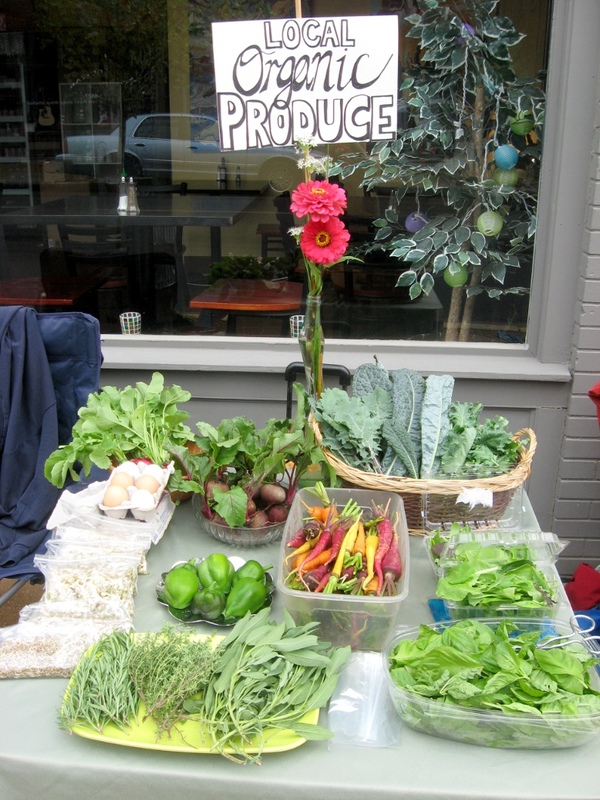 We’ll be selling some of our produce outside of Labeebee’s Mid-East Cafe this coming Saturday, September 10, 2011, starting around 11 AM. Labeebee’s is located at 2609 Cherokee Street, just west of Jefferson (here’s a map). 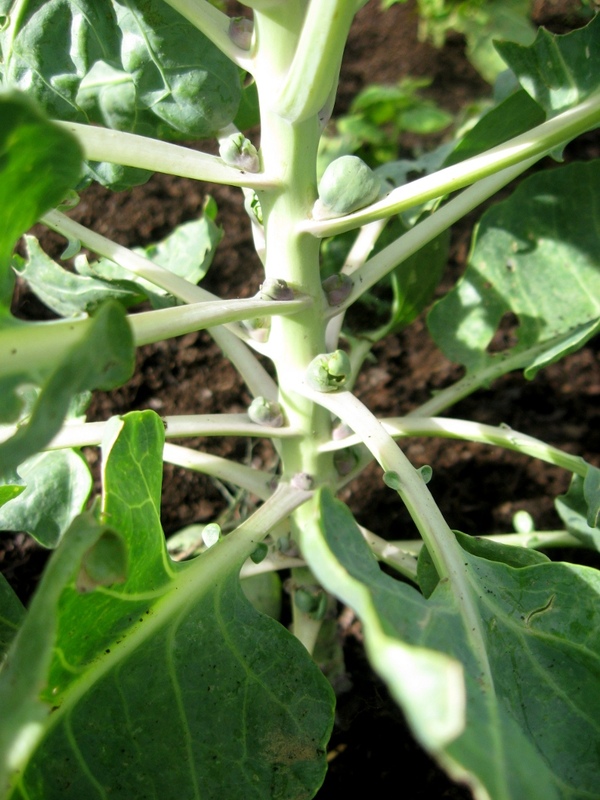 We’ll be offering peppers, tomatoes, carrots, radishes, salad greens, basil, and more. Stop by and say hi! 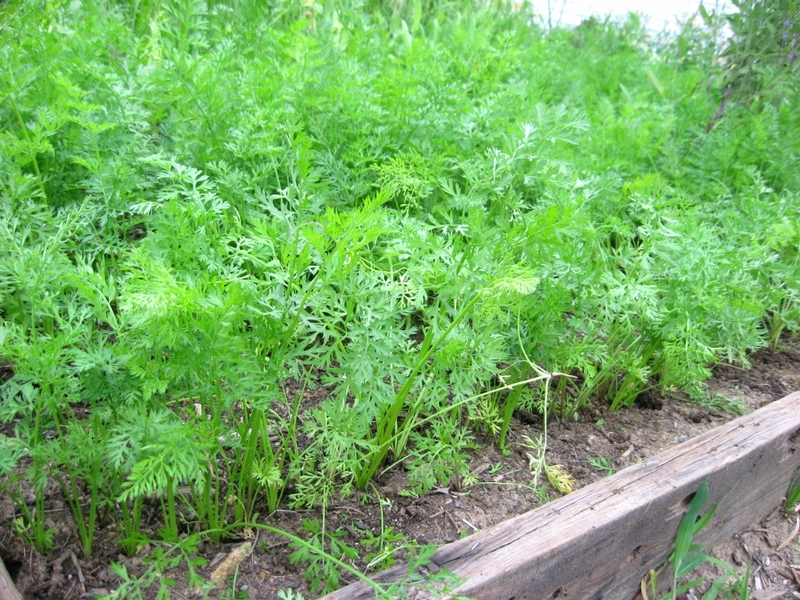 We'll have lots of fresh carrots for you! Last week we found ourselves with way too many beets and cucumbers to eat, so it was time to get serous about preserving our abundance. 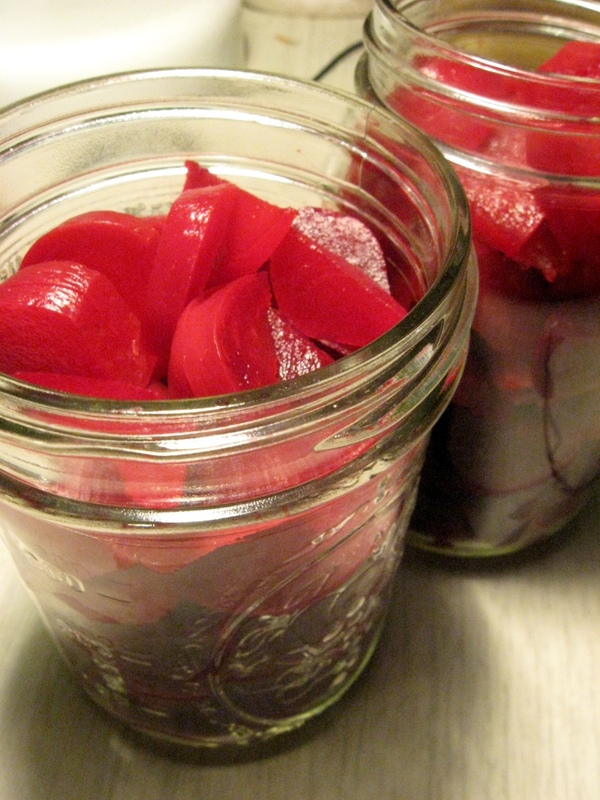 Like cucumbers, pickling beets is really easy and the results are so good. You’ll want to cook them first, either by steaming or roasting. We’ve tried both ways but usually just cut them in half and steam ’em. Don’t worry about peeling the skins, you’ll be able to remove them easily after the beets are cooked. While your beets are steaming, prepare the brine in a separate stock pot. We boil 1 part water with 1 part vinegar. Balsamic vinegar is our favorite, but it gets pricey so this time we used half white vinegar and half balsamic. Apple cider vinegar is good too. You can also add brown sugar, cinnamon, or cloves. 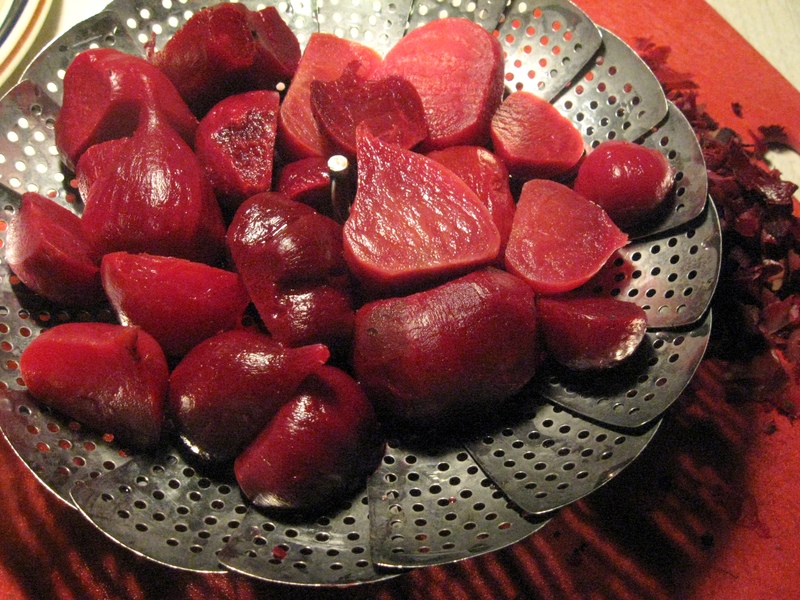 After your beets are cooked, cool them under water and slide the skins off with your fingers or a butter knife. It should be fairly easy to do, but it does take a little time. Then slice your beets and pack in your sterilized jars. Ladle your boiling brine in up to 1/4″ of the top of each jar, wipe the mouth with a damp paper towel to ensure a good seal, and tap against a surface to dislodge any air bubbles (some people prefer to scrape a non-metallic spatula around the inside). Close them up and process in your boiling water bath for about 10 minutes. Once removed, allow to cool before moving to a cool, dark place (we use the basement). You should hear delightful little plinks when the seals form as the contents of the jars cool down. You’ll know they’re sealed when the lid is depressed and doesn’t pop up when you press it. 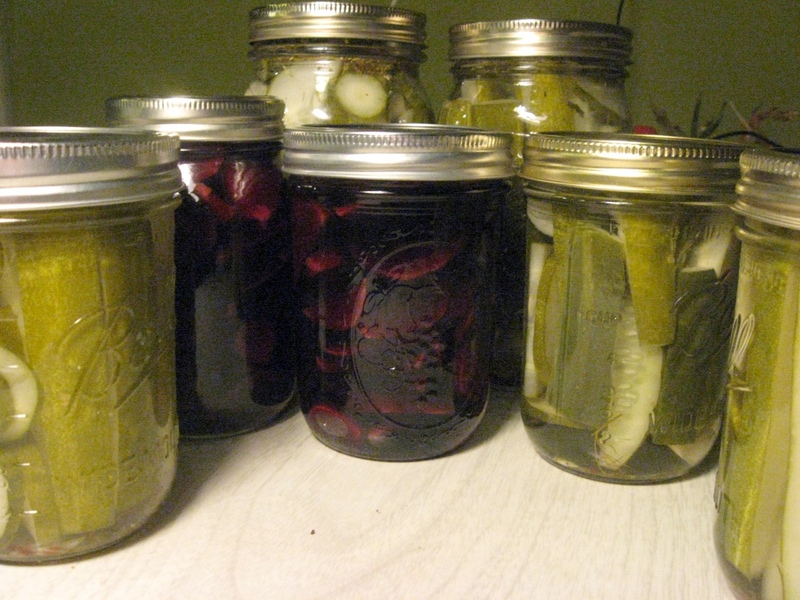 Looks like we have enough pickled cucumbers to last us through the winter, but we’ll definitely need more pickled beets… we love them on salads and straight out of the jar. Good thing we’re planting more beets at Dave’s place!